The microtubule (MT) cytoskeleton is a dynamic network of self-assembling highways that, together with the help of motor proteins, promotes intracellular transport and the formation of magnificent structures such as the preprophase band, mitotic spindle, and phragmoplast (Nebenführ and Dixit, 2018). 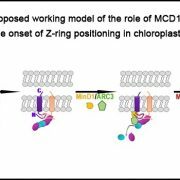 Antagonistic interplay between MT minus- and plus-end-directed motors is tightly orchestrated and important for regulating organelle motility and cell division. 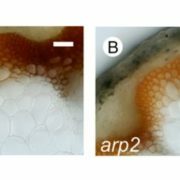 In animals and fungi, minus-end-directed cargo delivery, cytoskeletal crosslinking, and MT-based force generation are mediated by cytoplasmic dynein, a motor that is absent from land plant lineages. How plants fill this void remains an open question. While the plant kinesin-14s are prime candidates to substitute for dynein function, elucidating their function has been inherently complicated by gene redundancy, especially within the Kinesin with Calponin Homology domain (KCH) subclade. A new study by Yamada and Goshima (2018) uses the powerful genetics of the moss Physcomitrella patens to define novel functions for these plant kinesins. Using homologous recombination in moss, the authors sequentially deleted all four KCH genes to generate the first plant lacking KCH. Although viable, KCH knockout (KO) lines exhibit a remarkable nuclear positioning defect that manifests shortly after cell division. Rather than navigating to the center of tip-growing protonemal cells during interphase, KCH KO nuclei instead gravitate to the apex (figure, panel A). The predictable and uniform orientation of MTs in moss together with KCH fluorescent-tagging experiments suggest that KCH moves processively in vivo as a minus-end-directed motor. 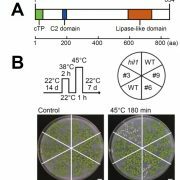 Previous work by the Goshima group showed that depletion of plus-end-directed ARK kinesins triggers the opposite phenotype—basal nuclear accumulation near the newly formed cell plate (Miki et al., 2015). Thus, it appears that nuclear positioning involves a tug-of-war between the ARK and KCH kinesins, an imbalance of which results in deformed nuclear invaginations and nuclear distribution skewed towards the cell periphery (figure, panel A,B). Tip growth is also compromised in KCH KO lines (figure, panel C), likely due to the reduced persistence of apical MT and actin foci that are hallmarks of polarized growth in moss. 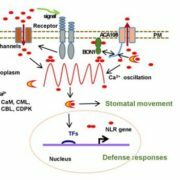 Surprisingly, rescue experiments showed that the KCH calponin homology domain—an actin-binding surface assumed to mediate crosstalk between the MT and actin cytoskeletons—is dispensable for both nuclear positioning and tip growth. Instead, the signature, uncharacterized C-terminal extension unique to this kinesin subclade plays a pivotal role in tip growth, but is unnecessary for nuclear positioning. 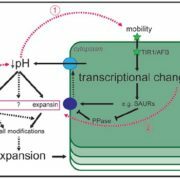 Importantly, this functional uncoupling excludes the possibility that tip growth defects are simply a byproduct of nuclear invasion into the apex and instead points to a more direct role of KCH in promoting polarized growth. 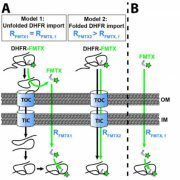 Thus, it appears that KCH kinesins share at least some attributes with dynein, including the processive, retrograde delivery of cargo along MTs. 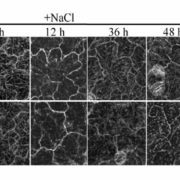 However, this study also raises some speculation about whether KCH acts as a crosslinker between the MT and actin cytoskeletons. 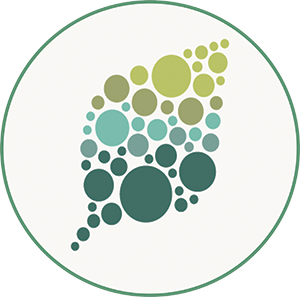 With the genetic resources now in place, additional functional studies promise to resolve these questions, further elucidate the roles of KCH in tip growth and nuclear positioning, and potentially uncover novel functions of these kinesins in plants. Miki, T., Nishina, M., and Goshima, G. (2015). 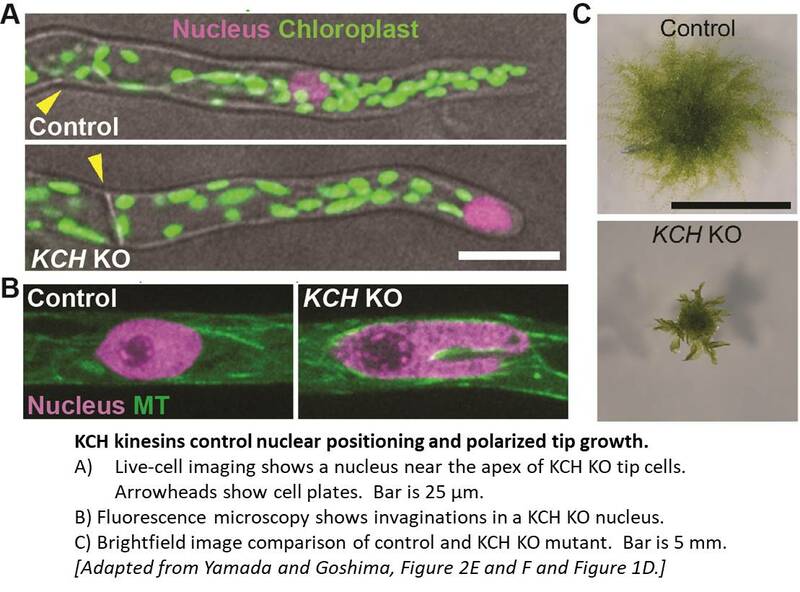 RNAi screening identifies the armadillo repeat-containing kinesins responsible for microtubule-dependent nuclear positioning in Physcomitrella patens. Plant Cell Physiol. 56: 737-749. Nebenführ, A. and Dixit, R. (2018). 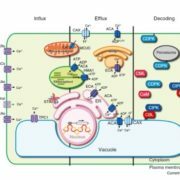 Kinesins and myosins: molecular motors that coordinate cellular functions in plants. Ann. Rev. Plant Biol. 69: 329-361.